I’ve spoken with hundreds if not thousands of families, and a consistent theme heard was second to value/price, is having exposure to past guest reviews. Recently the Walen family spent two action packed weeks with Dans Florida Condos. 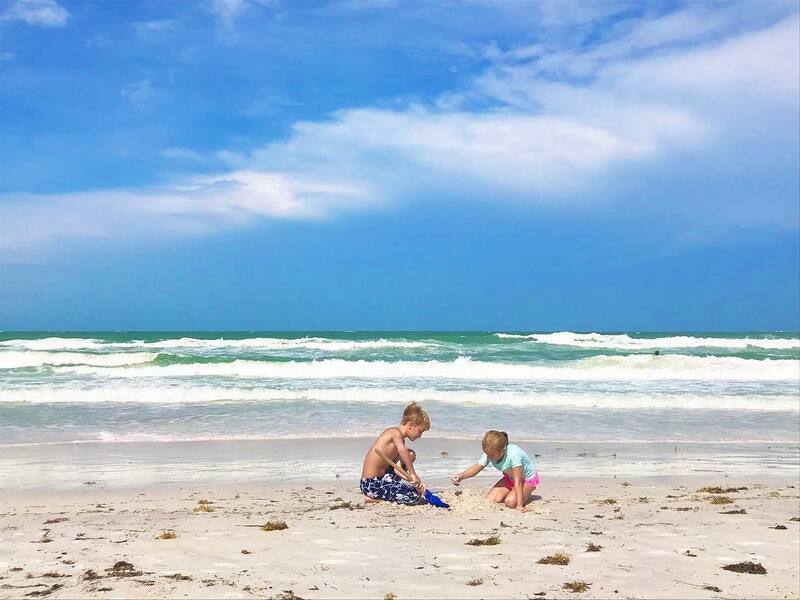 They experienced all that Anna Maria Island had to offer, including activities, resturants, and of course the beautiful sugar sand beaches of the Gulf of Mexico. Luckily for the rest of us, they put together a detailed review of not only their stay at Dans Florida Condos, but also of their entire trip. Please enjoy the following content submitted with the Walen Family. Its my hopes that it will serve as a helpful guide as you find the perfect home away from home, on your next visit to Anna Maria Island! We just returned from 2 weeks at Dan’s condo (2bd/unit 227). It was our first trip to AMI and we simply fell in love with the island. PRE BOOKING. For starters, Dan was extremely easy to deal with prior to and after booking. He answered all of my questions ahead of time, ensuring I knew exactly what his condo was equipped with, what the resort included in terms of amenities and location, and policies/procedures. On the week of the trip, I received all the pertinent check in information and it was clear and concise. We arrived to the unit to find it clean and extremely well equipped with everything you could need for a vacation. THE CONDO ITSELF. We are a family who typically prepares breakfasts and lunches in our condo and most nights we go out for dinner. The kitchen was fully stocked for cooking and the refrig and stove, microwave, toaster, oven was CLEAN and in well working order. We were very appreciative of the nice washer and dryer and definitely used it throughout our stay. The beds were extremely comfortable and the linens were very nice. The unit has a ton of towels, including beach towels. We did not have to bring ours and this made packing easier. The sofa and loveseat is very nice. In addition, the furniture and closet space (including plenty of hangers!) is more than adequate for your storage needs. His condo includes four Tommy Bahama backpack style beach chairs which we used nearly every day. Although I wish he had a beach cart, we ditched our beach bag and used the bags on the beach chairs to lighten our load to the beach every day. THE COMMUNITY (RUNAWAY BAY). We played tennis quite a bit and were thankful for the racquets he supplied as well. The court is in great condition and they are lit as well in case you want to play at night. We loved the pool at Runaway. Our kids made friends quickly with the other kids staying at the resort. I checked out the pools at other resorts around us and was shocked at how small they are so I really appreciated the nice size of the Runaway Bay pool. The kids had plenty of room to play and didn’t bother the many adults who also used the pool (including myself).The pool chairs, tables, and umbrellas were very nice. Plenty of shade options and having a bathroom adjacent to the pool was a bonus! THE BEACH. It is literally right across the street. The crosswalk made crossing the street super easy. For those with little ones, you push a button, the lights flash, and cars stop. It really is easy and safe. The beach itself isn’t really ever crowded and we had no problem having plenty of room every day (and we went almost every day for 2 weeks!). The sand is soft and cool, and the water was gorgeous. THE ISLAND. The trolley is indeed right outside the complex and it was SO easy to hop on and take it up and down the island. My kids LOVED it. We loved Bridge Street and the kids especially loved the miniature golf. We rented bikes and biking around AMI is super easy and we felt very safe. Bridge St. is very easy to bike to, and we biked several times to Walgreens/Holy Cow Ice Cream. In all, we really loved Dan’s condo. It was clean, comfortable, and extremely well equipped. The Runaway Bay complex is truly a gem – centrally located, and the pool cannot be beat. We will definitely return!! To the Walen Family, thank you again for the opportunity to host your beautiful family. I look forward to helping you create memories for years to come! I know that lodging selection, while important, is only one part of a wonderfully memorable family vacation. Outlining some of the other activities and restaurants your family enjoyed during your stay should be helpful for future guests of Dans Florida Condos.